Beaming with character and nestled in wooded splendor. Wonderfully renovated home decorated in today's most sought after hues. Spacious floor plan filled with natural light. Kitchen appointed with ample cabinet and counter space and stainless steel appliances. Lovely master suite with private bath. Spacious bedrooms with great closet space. Formal living room and dining room. Family room with custom bar and brick fireplace. Walk out lower level offers room for recreation, gaming, exercise, storage and more. Expansive deck overlooks picturesque, towering trees. 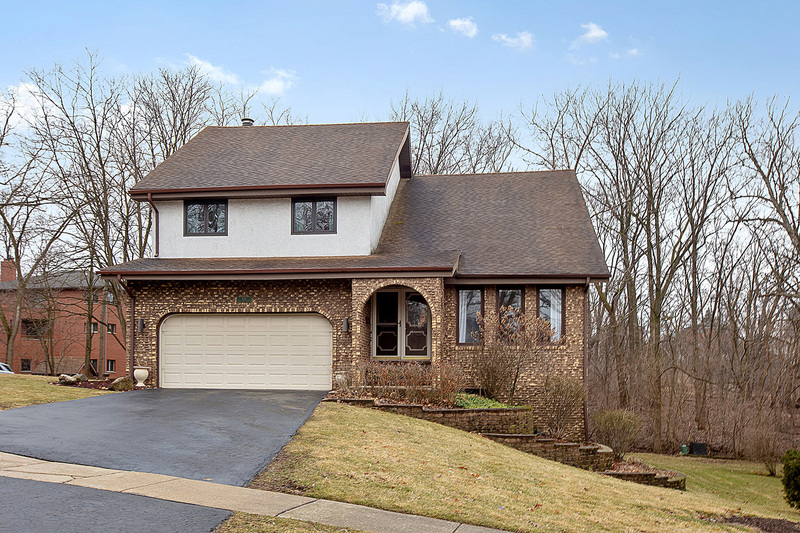 Minutes to shopping, dining, Metra, expressway access, parks, world renowned golf courses and Lemont High School, a national blue ribbon school. Pete's Fresh Market and Rosebud coming soon to Lemont! Schedule your appointment today!